Montand was born Ivo Livi in Monsummano Terme, Italy, to Giovanni Livi, a broom manufacturer, and Giuseppina Simoni, a devout Catholic, while her husband held strong Communist beliefs. Montand's family left for France in 1923 because of Italy's Fascist regime. He grew up in Marseille, where, as a young man, he worked in his sister's beauty salon (Salon de Coiffure), and later on the docks. He began a career in show business as a music-hall singer. In 1944, he was discovered by Édith Piaf in Paris and she made him part of her act. Montand went on to international recognition as a singer and actor, starring in numerous films. His recognizably crooner songs, especially those about Paris, became instant classics. He was one of the most famous performers at Bruno Coquatrix's famous Paris Olympia music hall, and toured with musicians including Didi Duprat. In October 1947, he sang Mais qu'est-ce que j'ai ? (music by Henri Betti and lyrics by Édith Piaf) at the Théâtre de l'Étoile. Betti also asked him to sing C'est si bon but Montand refused. Following the success of the recording of this song by the Sœurs Étienne in 1948, he decided to record it. During his career, Montand acted in a number of American motion pictures as well as on Broadway. He was nominated for a César Award for "Best Actor" in 1980 for I comme Icare and again in 1984 for Garçon! In 1986, after his international box-office draw power had fallen off considerably, the 65-year-old Montand gave one of his most memorable performances, as the scheming uncle in the two-part film Jean de Florette, co-starring Gérard Depardieu, and Manon des Sources, co-starring Emmanuelle Béart. The film was a worldwide critical hit and raised Montand's profile in the US, where he made an appearance on Late Night with David Letterman. In 1951, he married Simone Signoret, and they co-starred in several films throughout their careers. The marriage was, by all accounts, fairly harmonious, lasting until her death in 1985, although Montand had a number of well-publicized affairs, notably with Marilyn Monroe, with whom he starred in one of her last films, Let's Make Love. He was the stepfather to Signoret’s daughter from her prior marriage, Catherine Allégret. Signoret and Montand had a home in Autheuil-Authouillet, Normandy, where the main village street is named after him. In his later years he maintained a home in St Paul de Vence, Provence, until his death from a heart attack in November 1991. In an interview, Jean-Jacques Beineix said, "[H]e died on the set [of IP5: The Island of Pachyderms]... On the very last day, after his very last shot. It was the very last night and we were doing retakes. He finished what he was doing and then he just died. And the film tells the story of an old man who dies from a heart attack, which is the same thing that happened!" Montand is interred next to his first wife, Simone Signoret, in Père Lachaise Cemetery in Paris. In 2004, Catherine Allegret, Signoret's daughter, alleged in her autobiography "Un Monde a L'envers" (A World Upside Down), that she had been sexually abused by her stepfather at the age of five and that he had a "more than equivocal attitude to her" as she got older. However she also claimed to have been reconciled to him in the latter years of his life. ^ a b Montand, Yves; Hervé Hamon; Patrick Rotman (1992). You see, I haven't forgotten. Knopf. pp. 4–30. ISBN 0679410120. ^ Rosen, Marjorie (25 November 1991). "Adieu, Yves". People. 36 (20). ^ "Yves Montand – Obituary". The Telegraph. 11 November 1991. ^ Hodgson, Moira (5 September 1982). "Yves Montand – From The Music Hall to the Met". The New York Times. ^ "Late Night with David Letterman (a Guest Stars & Air Dates Guide)". Retrieved 14 May 2013. ^ "Body of Entertainer Montand Exhumed". Los Angeles Times. 12 March 1998. Retrieved 20 August 2012. ^ Rachel G. Fuchs (2008). Contested Paternity: Constructing Families in Modern France. JHU Press. p. 272. ISBN 0801898161. ^ "The Return of Jean-Jacques Beineix, Pt. II", Video Business, 5 June 2009. Retrieved 17 June 2009. ^ "Actress says cinema idol stepfather abused her". The Irish Independent. 30 September 2004. Retrieved 10 January 2015. 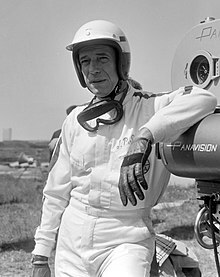 Wikimedia Commons has media related to Yves Montand.